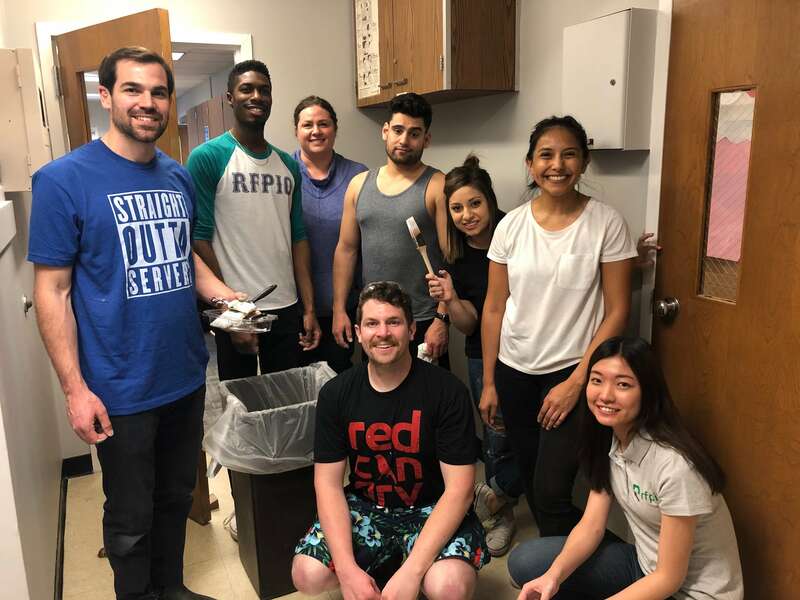 Like Van Gogh, Da Vinci, and Michaelangelo before us, last week the RFPIO team picked up our brushes and spent an afternoon painting office rooms at Terra Linda Elementary School in Beaverton. This artistic volunteer project was facilitated by the Beaverton Education Foundation (BEF). The BEF is an organization that coordinates supplemental academic programs for all 53 schools in the Beaverton school district. “BEF helps bridge the gap between what public funding provides and what is needed to provide a well-rounded, quality education,” according to their website. Executive Director Kristine Baggett says one of the ways they do this is by organizing micro-projects that attract volunteers outside of their immediate scope (parents & school staff). And that’s how RFPIO got the chance to help. Baggett said Terra Linda is the host of this summer’s Camp Achieve program, for students who need a little extra help getting up to speed in all school subjects before the start of the year in the fall. 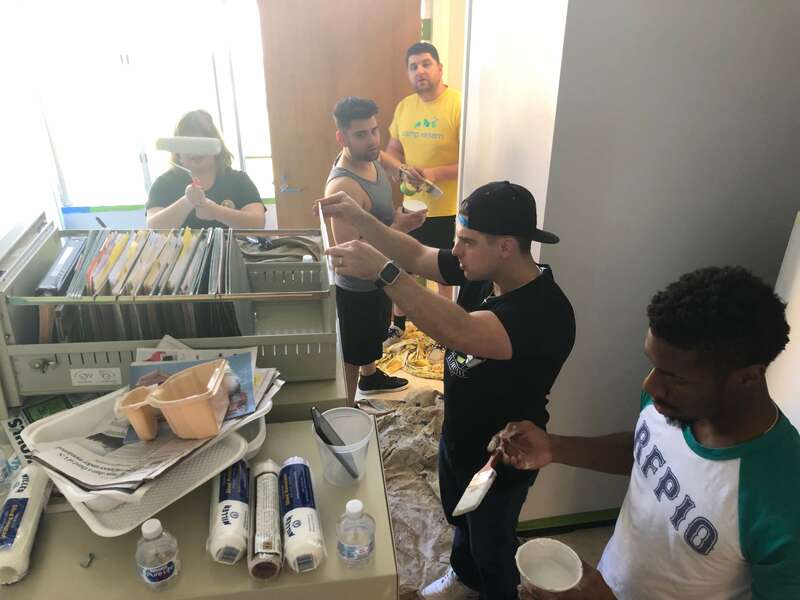 The RFPIO team spent the afternoon at Terra Linda, spread among two office rooms where we taped cabinets, learned the art of cutting in the edges, and updated the gloomy walls with a fresh coat of bright paint. If you have a team of volunteers, the BEF has opportunities throughout the year to help, including signature programs like their long running phone-a-thon in October, hosted by local high schoolers, Camp Achieve summer camp, and after school programs for Beaverton middle schools. You can also offer assistance throughout the year with micro-projects like the painting day at Terra Linda Elementary. These projects vary in scope and can be anywhere from a couple hours, to helping out for a few days. Another way to help is by making a tax-deductible donation on the BEF website, directly through the donate button or to fund a specific micro-project of your choice. The micro-projects are often matched by local corporate donors, to maximize the effort. To our local Portland and Beaverton readers, please join us in supporting the Beaverton Education Foundation (beavertonedfoundation.org) to help give area students a more well-rounded and positive educational experience.